I had to go to NYC for work and I got to fly through the new Jet Blue Terminal at JFK. It is quite beautiful, so bright and white. I heard they had some nice amenities in the terminal. 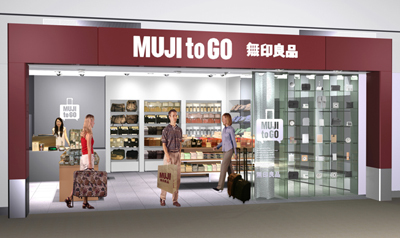 I was super excited to see they have a Muji to Go and a Jamba Juice there! I already love to fly Jet Blue (tv's and blue potato chips!) but this really seals the deal for any trip to NYC. i love the mango pudding drinks at MUJI to-go! but they are so tiny- i could gulp down 5 in one sitting! Flew in and out of JFK a couple of weeks ago with JetBlue. Love the new terminal! PS. and the Blue Chips too! you must eat at piquillo next time!!! so worth it.